Our media plan is designed to drive awareness to the extraordinary properties we represent. With an emphasis on brand exclusivity, cutting-edge advertising technologies, strategic content integration and social traffic drivers, we utilize hand-selected media powerhouses whose innovation, experience and international impact allow our network to successfully connect buyers and sellers globally. 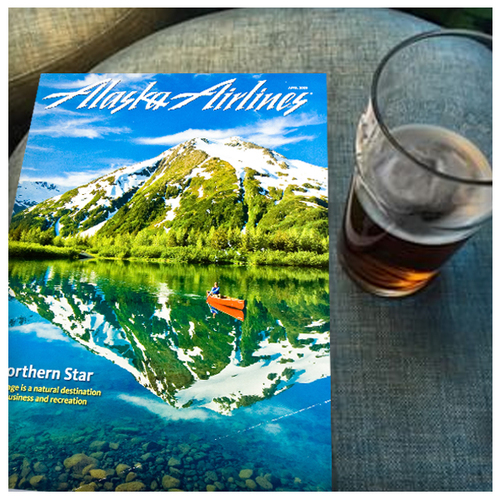 We have access to preferred print advertisement publications and placements with the best throughout the Pacific Northwest. We develop custom media buys dedicated to the goals of our clients uniquely targeted to the appropriate buyer profile. Our in-house design team offers a diverse range of property ad design formats from premium custom ads envisioned uniquely for a property to cost-effective cooperative ads leveraging our local Realogics Sotheby’s International Realty platform. Geek Home of the Week's dynamic platform showcases properties, highlights market trends and features real estate sponsors. A real time voting tool puts consumers in the driver’s seat as more than 1 million unique visitors per month visit the website and 25,000 active subscribers digest the daily newsletter and are presented with the region’s most extraordinary properties. Sea Magazine has been around for over 106 years and has been the number one marine publication serving active affluent boaters from the Pacific Northwest clear down to Southern California and Baja California, Mexico. They own boats in the 40’ to 90’ range and have the money to spend. Ads are featured on all Kenmore Air flights and are included in welcome bags at major ports with extra distribution at Seattle Boats Shows. "At the core of the brand’s strategy are the relationships with pre-eminent media powerhouses in both the print and online arenas including: The New York Times, The Wall Street Journal, The Telegraph Media Group, Google, Architectural Digest, the Hong Kong Tatler and the Financial Times." Friday Takeover on Mansion Global! 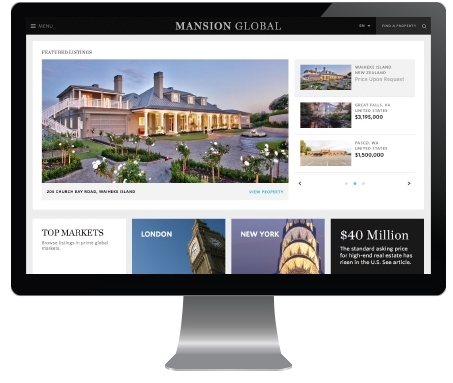 The Sotheby’s International Realty is the exclusive launch partner of Mansion Global, the new standalone luxury real estate site presented by the Wall Street Journal and News Corp.
while presenting insightful real estate content and market data. 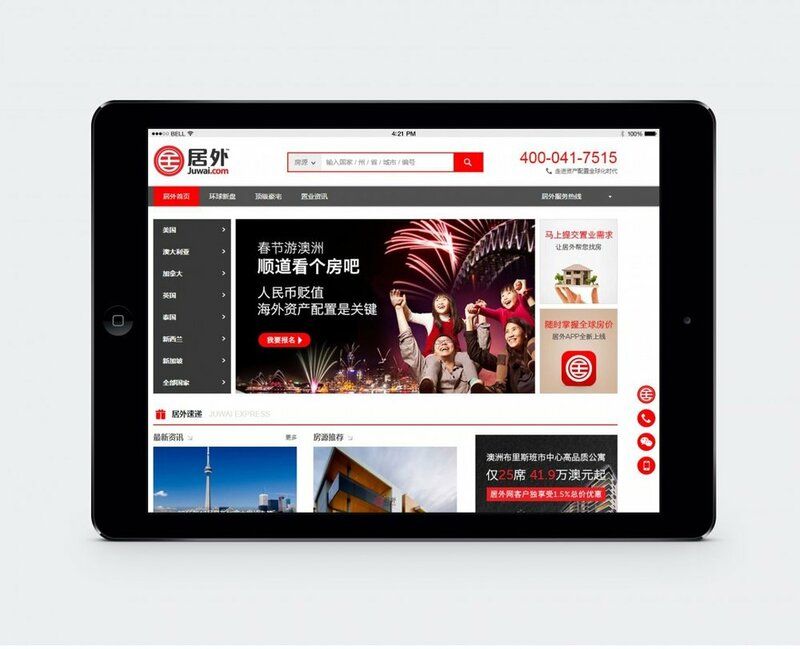 Sotheby’s International Realty has announced an alliance with Juwai.com that enables the luxury real estate brand to generate Chinese buyer interest on one of the world’s most prominent real estate websites with over two million monthly visitors. 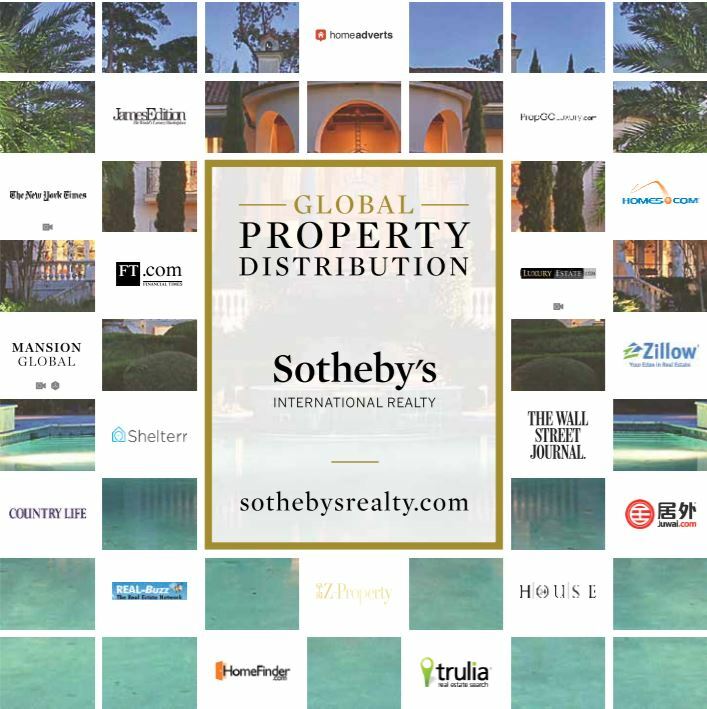 As a truly international brand, Sotheby’s International Realty now has the most global representation on Juwai.com. The Asia Services Group, exclusively at Realogics Sotheby's International Realty, is a team of independent brokers fluent in foreign languages, customs and logistics when working with international home buyers. Far more than a website, our listings are directly represented abroad with unparalleled exposure both here at home and overseas. When you're targeting a global audience, working with the right team makes all the difference in the world. The Asia Desk operations are directly networked with Beijing Sotheby’s International Realty, which Realogics Sotheby's International Realty referred to the franchise system and helped to establish. The Sotheby’s International Realty website, SIR.com, attracts more consumers to search, view and inquire than any other luxury real estate website. The collaboration between realty and auction leverages our brand’s rich history, heritage and sophistication to enhance market perceptions about the properties we represent. Sotheby’s International Realty is now 1 of 20 exclusive advertising partners on the Apple News app and the only real estate company.